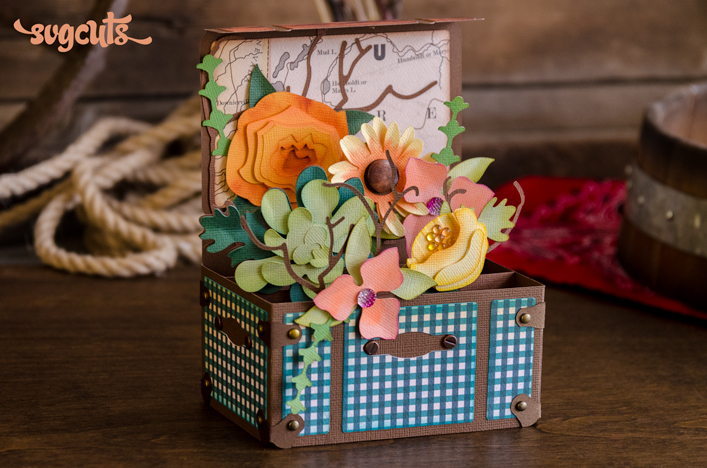 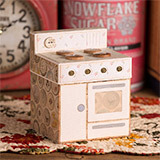 Each finished project measures as follows: Apron Card - about 4.7 x 5.6", French Coffee Pot - about nine inches tall, Good Morning Mug - almost five inches tall, Menu Card - about 6 x 7.7", Vintage Oven Box - 4.3w x 6h x 4d". 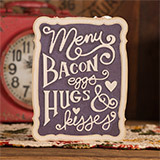 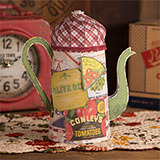 Country Kitchen by Farmhouse Paper Company. 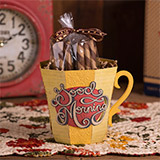 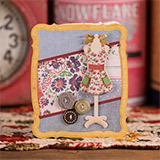 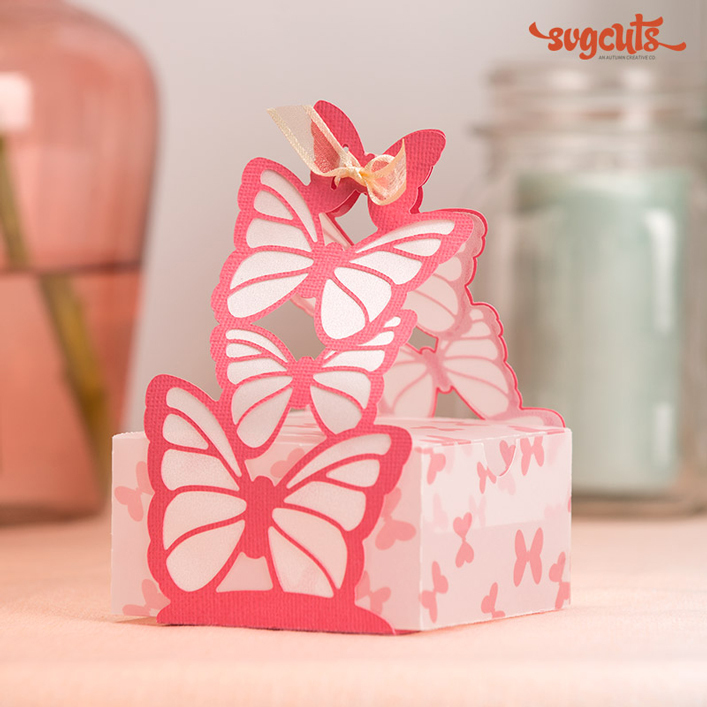 Embossing on Good Morning Mug panels was created using the "Cassie's Brocade" embossing folder by Cuttlebug.